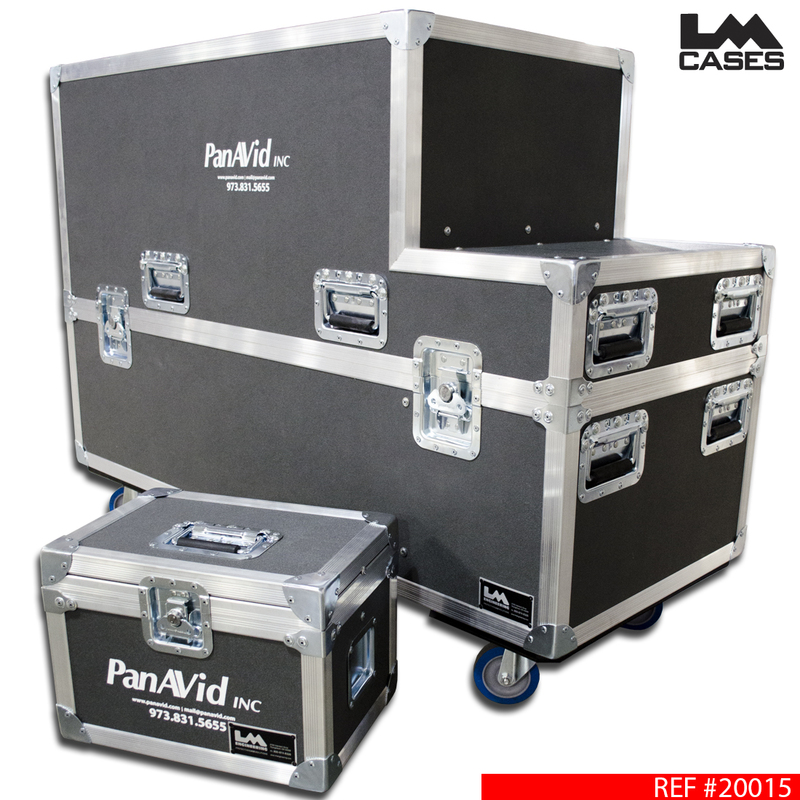 The case was designed for Panavid Inc to accommodate a variety of projectors and lenses for rental applications. A unique challenge with any rental house is how to transport a projector with the correct lens for each unique job. Because Panavid rents the lenses separately from the projector, simply storing the lens in the projector case was not an option; separate lens cases needed to be created. 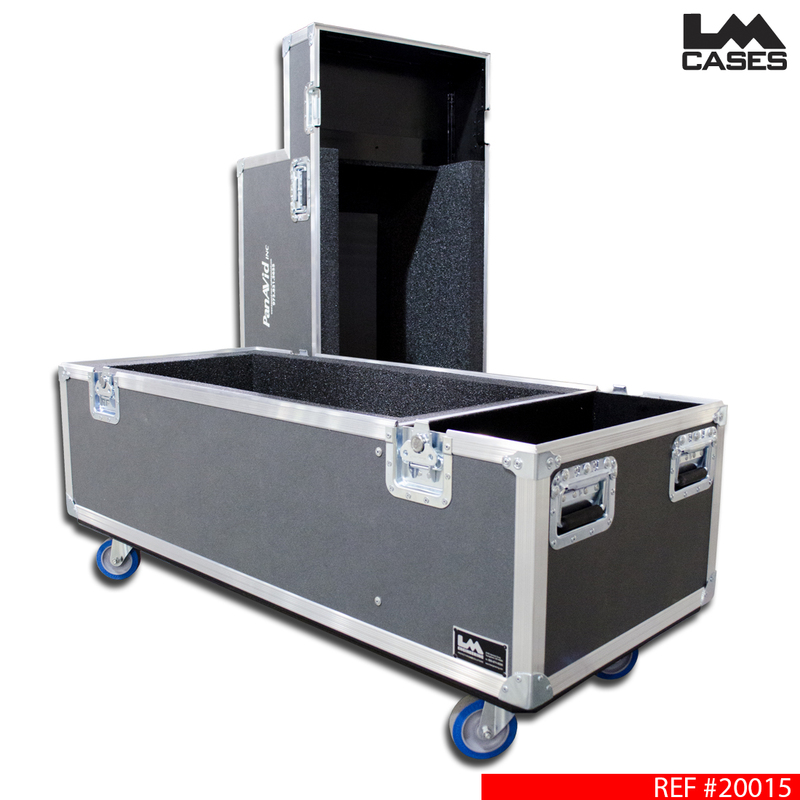 To make the cases as versatile as possible, LM Cases created standard sized lens cases that were all the same exterior size; the only difference is the unique CNC cut foam insert specifically tailored to each lens. The lens case is stored in a unique "L" shaped cut out in the side of the case lid, this area would normally be filled with foam over the cases accessory compartment. The projector case is built out of 3/8" plywood and features a 2" PE foam lined interior and is designed to hold a projector mounted in a cage. 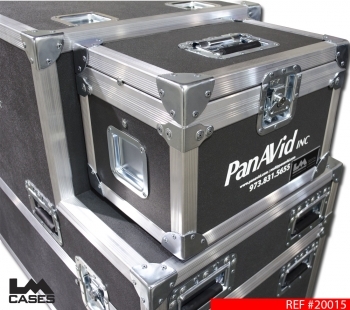 The exterior case also features caster cups to match cable trunks in Panavid's inventory so that support trunks can be easily stacked on top of the case. The case also features a silkscreen of the Panavid logo, deep recessed handles, and is the only case in LM history to have 10 flat triangle corners! Each lens case is built out of 1/4" plywood and features a small recessed dish for asset tags, the Panavid silkscreen, and rubber feet to help hold it on the projector case.